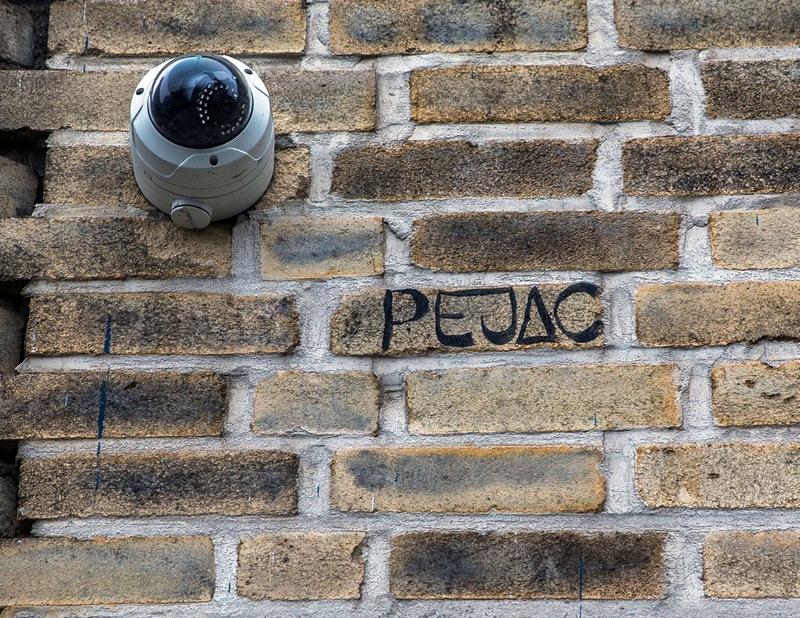 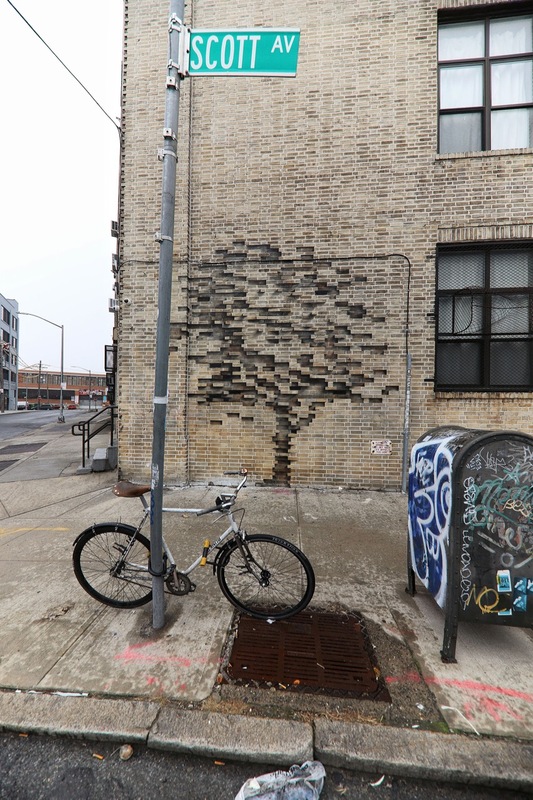 After sharing one of the pieces yesterday that Pejac painted while in New York recently, we now have photos of the other brilliant piece he created in Bushwick (27 Scott Ave). 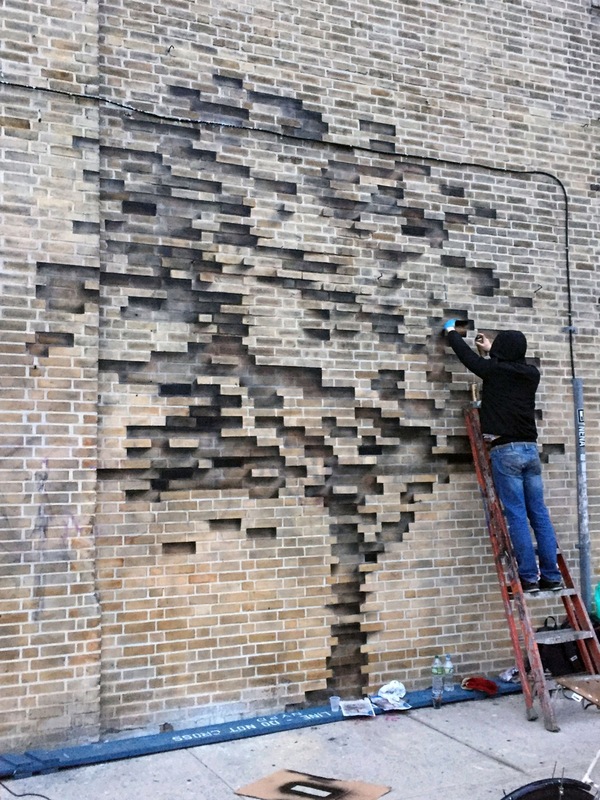 Entitled Fossil, the mural really shows off the skills of the Spanish artist in creating optical illusions. 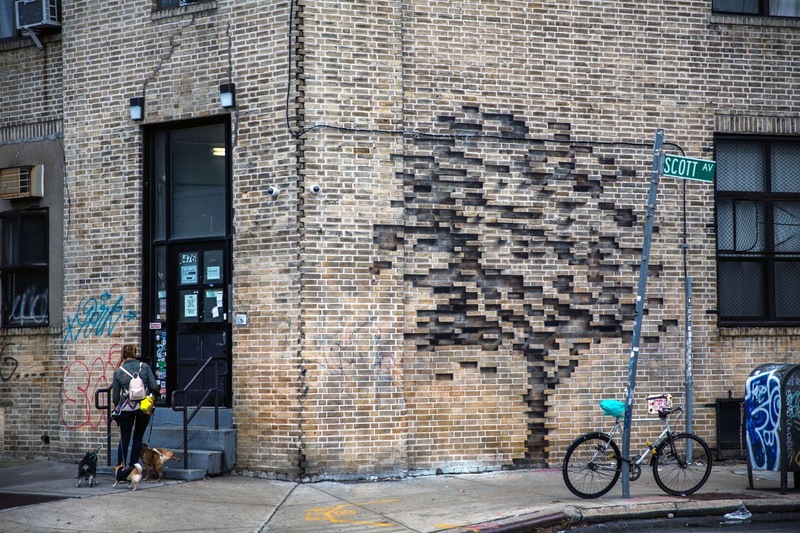 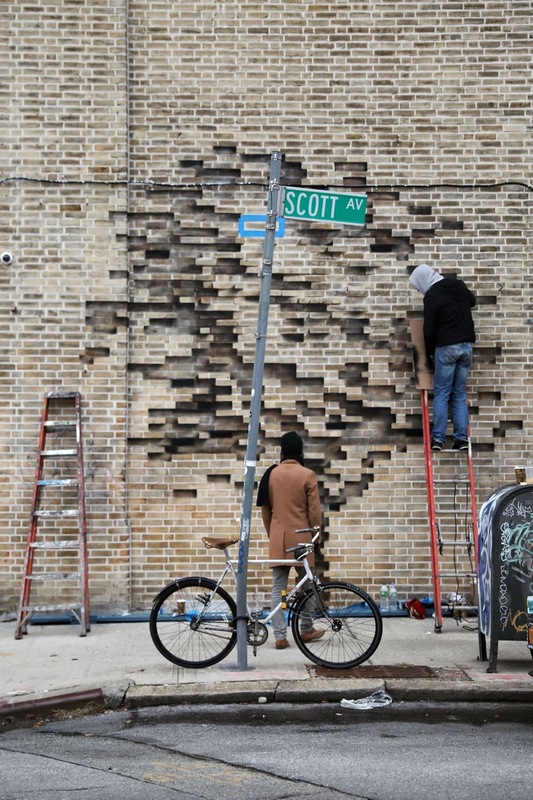 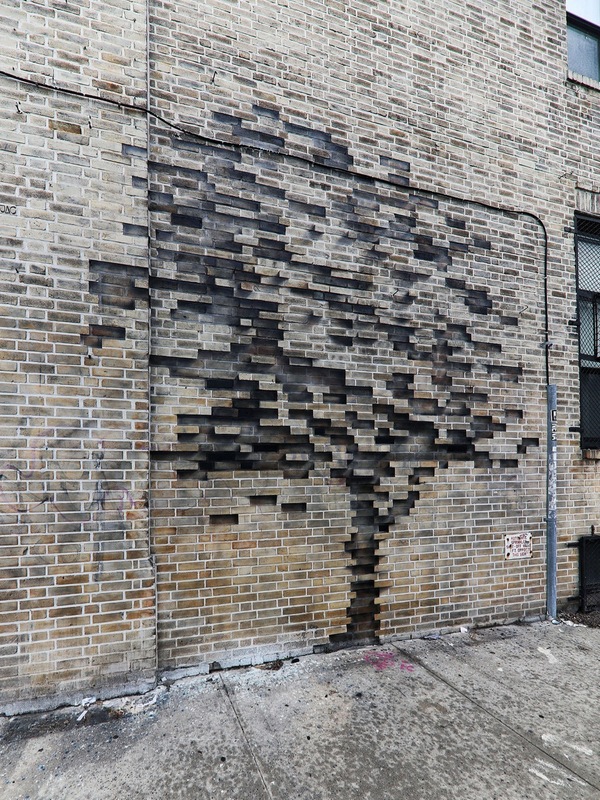 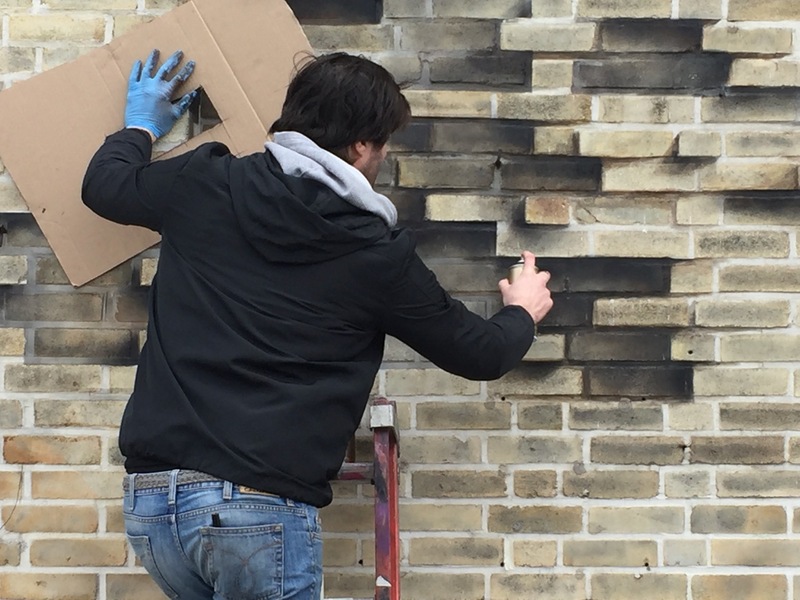 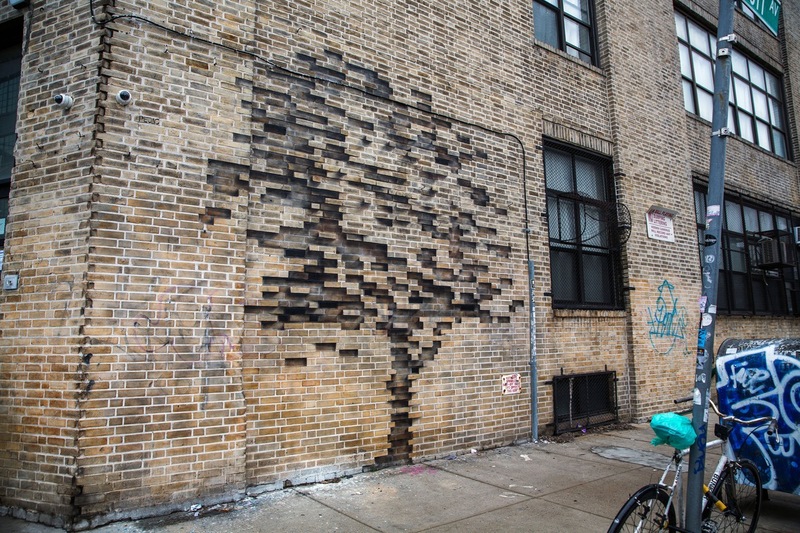 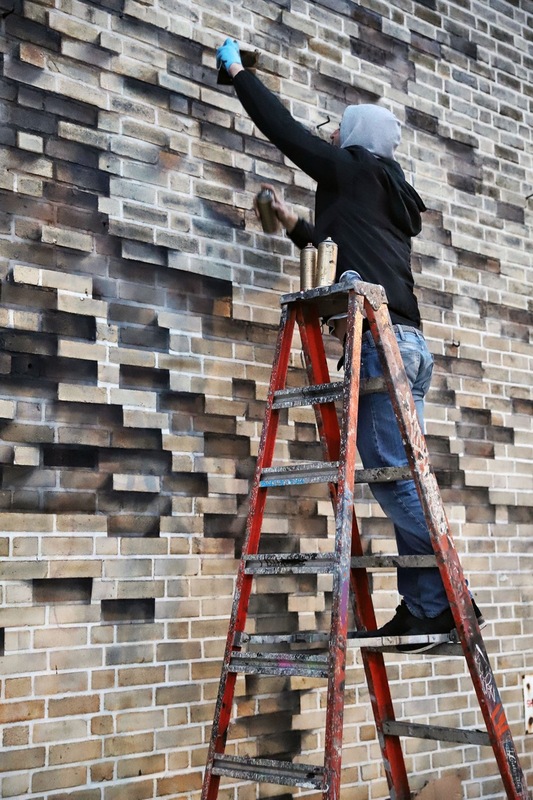 Merely by adding shadow effects and by accentuating selected existing bricks on the wall in Brooklyn, he was able to construct the ghostly memory of a tree, referencing how parts of nature are gradually going extinct with the rapid urbanization of humans.